"TDES Distance Education Programme degree will take me one step closer to my dreams. It is a very well organized, systematic and disciplined course designed in a very professional manner. Having No Age Limit , TDES motivates and provides a platform for the all people to learn this art . The Faculty are very well experienced, thus bringing out and nourishing the talents of the students. Syllabus is very elaborative which covers a lot for master's degree. Study materials and Audio-visual aids are very clear, in detail and neatly planned which support the learning very well. Contact classes were a great place for learning and were effective and useful. TDES learning has provided me exposure to the professional world of Bharathanatyam. It has helped me to build up my skills and knowledge in this field which is required to pursue this art as a career. Learning with TDES has not only added to my skills but also has made me a better person." Shruthi Hebbar has completed her Senior in Bharatanatyam examination conducted by Karnataka Secondary Examination Board. She has given performances in various parts of South India and also has been a part of various workshops. 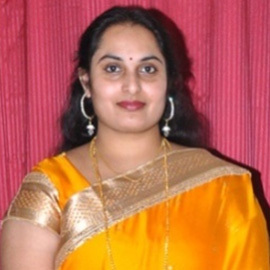 She has also acquired training in Hindustani Instrument – Sitar for 5 years from Late Pandit Ravi Kumar, Mysore and has acquired training in Carnatic vocal music. 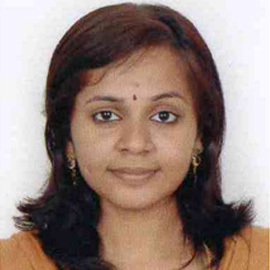 She is a Graduate in Master of Business Administration and she is currently working with ITC Limited. "As Kalai Kaviri has a dignified name in this field, definitely it will add credit to our professional career. In the Bangalore chapter of Kalai Kaviri Distance Education Programme, we do get a highly professional teaching in the contact classes. They do give attention for all students, encourage us to become better. We can experience their true devotion to art field. This Programme is suitable for all age groups. My Guru (aged 45), also started her M.A under this Program to fulfill her dream of having M.A. degree in dance. This is an inspiring tale to every dancer and all credit goes to TDES Distance Education Programme. Correspondence courses are many in fine arts. But we can count who provides professional fine art courses and one among them is Kalai Kaviri institute. Among those who provide study materials for the dance courses, Kalai Kaviri teaches very rare classical items. It is highly appreciable the way the institute is conducting the course which helps artistes like us who are maintaining two professions in parallel. Being a Chartered Accountant by profession and having a highly demanding job in hand, I was searching for ways to refine and keep practicing the dance which is my childhood passion. Once I started this course, I could reconnect to my dream and I am very happy to dance again and restart my dance profession too. I would really thank the TDES department for conducting such a professional course through correspondence and providing all of us an opportunity to do the course." 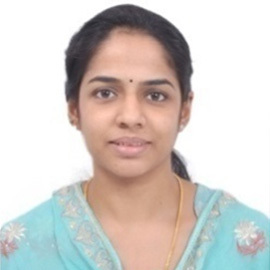 Sumedha Hegde is a qualified Chartered Accountant (ACA) and Company Secretary (ACS), working as a Finance Controller in the Switzerland based MNC heading the Finance & Admin for Indian Operations. Bharatanatyam is her passion from childhood and she has completed Vidwath exam under Karnataka Secondary Examination Board in Bharathanatyam. Computer Engineer, Dance Teacher, Abudhabi. "This is an accredited dance course wherein distance education is provided with standard syllabus similar to regular classes. Definitely this degree will upgrade my knowledge and increase opportunities in the field of dancing. This Programme is highly beneficial since there is no age limits or any other criteria. Only what we need is basic knowledge and ideas about Bharatanatyam. TDES Distance Education Programmme provides an opportunity for those who have no access to these kinds of coaching before. This gives opportunity to learn this art form with high quality and standards. I am able to learn this art form in a highly professional way because the instructors are highly qualified, experienced and trained in this field. The study materials are apt and highly appreciable. All the facilities and methodologies offered by TDES are highly recommendable." 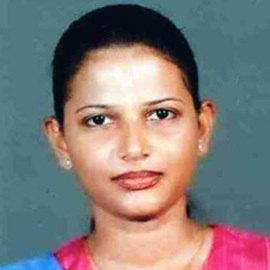 Suchithra, who is a Computer Engineer by profession, works as a Dance Teacher in Abu Dhabi. She conducts dance classes in Bharatanatyam, Mohiniyattam and Kuchipudi. She is a trained Indian classical dancer and has won five 'Kalathilakam' titles in Kerala School Youth Festivals and has been awarded with the title 'Nritha Prathibha'. She has choreographed and presented many dance programmes in Dubai and Abu Dhabi. "I live in Australia and this opportunity has given me fulfillment and knowledge that I was longing for many years. I am working full time as an Applications Team Leader at Western Australian Government, and also just completed Ph.D. in Information Systems. With family, studies and work, I would never have got an opportunity to study Masters in Bharatanatyam if not for this TDES Distance Education Programme. I am teaching Bharatanatyam for the past 30 years and as a teacher and a performer, this course has helped me understand the beauty of the art form further. The teachers have been such great help during our official contacts. But would also in addition if feasible, prefer a skype contact teacher during the year for once a month or once in a fortnight. The study not just gives me satisfaction, but also a structure to gather the knowledge. I am a mature student and this study has given me knowledge to perform, teach and also to see the diversity of students who are learning. This has been a great opportunity for me and I will always be thankful to the teachers and management of TDES Distance Education Programme. This has been my goal in life and it is only because of this programme I am able to fulfill my ambition. Learning the traditional theoretical aspects and items from far away from India without attending college is a great opportunity for me and others to achieve their goal. The study materials and contact classes give in-depth knowledge of the art form. I being a teacher know how difficult this is, but the programme is structured well to follow the syllabus in a way to help students abroad. I have made good dancers and friends as part of this programme. We are in constant touch with other students in the programme. Study Materials are well illustrated, have clear quality DVD, have good structure. Theory materials and Contact classes are systematically organized and efficiently taught." 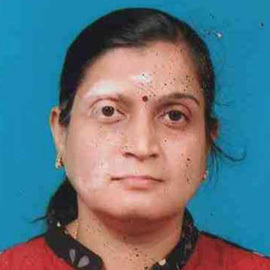 Dr. Rajaratnam Anuradha has been teaching dance since 1985 at The Temple of Fine Arts, Coimbatore. She then migrated to Perth, Australia in 1995 and continued teaching at The Temple of Fine Arts, Perth. 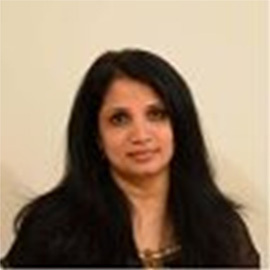 She has completed Ph.D. in Information Systems from the Edith Cowan University, Western Australia. "TDES Distance Education Programme is a great value adder to my passion-wise career. It allows me to take a great leap towards that. This is one of the best courses. The teaching methodology, faculty, study materials, etc. are of great quality and make the learning more effective and attractive. The point that there is no age restriction is a great boon to the artistes. This proves that learning has no age limit and encourages artistes of all age groups. Since there is no complexity in the course methodology and it is simple and user friendly, it allows all the artistes to learn and encourages even the artistes with not much accessibility. This program is of course making us learn the subject in detail as the teaching faculty is very excellent and highly knowledgeable. The study materials and contact classes are of high quality and they help us to learn better and effectively. The classes, letters from the office, faculty, methodology of the course, etc. are all planned very well that help us to experience a professional environment. I feel I am bonded and attached to TDES Distance Education Programme. More than official contacts, we have built up a nice rapport between the University and us, between the faculty and us and also among the students - ourselves. I am enjoying the course thoroughly. Also this course lets me concentrate and focus on my profession as well as passion in a balanced way." 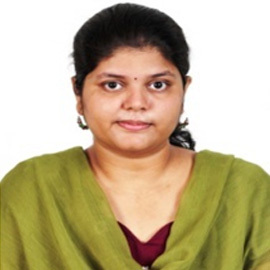 Akshatha Rao has completed her Engineering Degree in Information Science & Technology from APS College of Engineering (VTU). 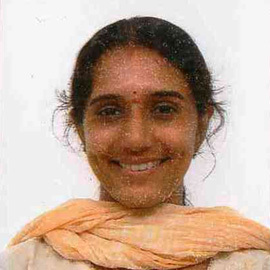 She has completed her Junior and Senior grade examinations conducted by KSEEB board, Bengaluru. "TDES Distance Education Programme gives a recognition for those who are practicing dance for so many years. This degree helps me to learn complete maargam in dance, choreography, Natuvangam which help in laying strong foundation to take up professional career in Bharathanatyam which is the ambition for most of the dance lovers. TDES Distance Education programme is good in teaching methods. Teachers are very experienced to clarify our doubts and we have lot to learn from them. Teachers never compromise professionalism which is very good in making the students pass out with high standards. This degree is very helpful for passionate dancers irrespective of age factor. This is a very good gateway for those who are married but still passionate about dance paving the way for them to fulfill their ambition even after marriage. Now we can surely tell that this is the only one Distance Education programme which is very popular and spreads across various locations to help lot of students for easy accessibility. Definitely, I am able to learn things with professional standards. Study materials are very good. We are the first batch in MA 2nd year with new syllabus. I personally feel that the syllabus is of good standard. Contact classes are very good that help in getting clarified of all doubts and to practice the syllabus. One suggestion is to make Audio-visual Aids supported in all formats like mobile etc. which will be really helpful. I am really happy with the way TDES coordinated all things. Starting from contacting us at right time to pay fees, sending materials at right time, sending out details of contact classes and schedule, even sending the updated materials and the standard of dance items. The response is very good when I called them for few clarifications. I am happy being associated to TDES. The important thing is the dance materials which are of good standard and very good to use for practice which are sent in advance. I personally like this course very much which helps me in learning lot of things." Sowndarya Meenakshi has participated in National level Bharathanatyam programs and many competitions. She was awarded Yuva Kala Bharathi Award given by "Bharati Yuva Kendra", Madurai, for excellence in Bharathanatyam . Director for Quality - And Enviromental - Waste Management at Stiftung Gemeinsames Ruecknahmesystem Batterien, Hamburg. "It is, as far as I know, quite a unique program for dance and music as TDES offers a full study program to learners with high interest and wish to improve skills and knowledge on a well founded academic program with an accepted and established University Degree - it is a rare opportunity worldwide. Most regular courses in Bharatanatyam especially with a degree, are limited in age. The Distance Education Programme of TDES, having no age restriction, is absolutely beneficial to all who have a deep interest in classical Indian dance or arts and wish to improve knowledge and skills. The well-founded course like TDES program helps to improve the knowledge and helps to keep the authenticity of these art forms in their unique form itself. I being a non-Indian student of TDES Distance Education Programme, dancer and teacher, my Indian students are amazed about what kind of knowledge I can give them additional to their knowledge which they brought already from India. The study material is very well set. The video material gives a very good guideline during the learning period. The contact classes were again a big impact to my abilities and have been a wonderful and very memorable time for me. Being part of the TDES distance education programme is a fulfilling experience for me. I never had the opportunity to learn classical Indian dance in a compact and intensive form like this. For any question I can find an answer at TDES and support when needed. This will be always in my mind and heart as it was not only studying but also a kind of coming home." Skudelny Katja had her Education from Technical University of Clausthal, Germany and Open University Hagen, Germany. She also possesses a degree in Business Administration plus a certification as Industrial Manager, Hamburg. She has given many performances in Germany including the performance which won first prize for Papanasam Sivan Song Competition (2008), performances for the 60th Anniversary of the Independence Day of India - DIG-Hamburg and the anniversary of a German-Indian company, Hamburg. She has given presentations/lecture demonstrations at Adult Education Centre, Germany and many places. She has taught Bharathanatyam since Jan. 2007 at various institutes. 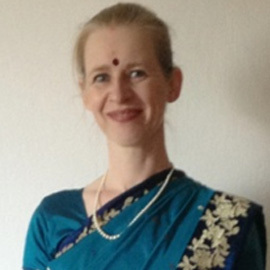 Along with Anna Grover, she founded Kalamitra - Centre for Classical Indian Dance, Hamburg In 2009. In 2010 the first batch of Kalamitra-students appeared for OFAAL (Oriental Fine Arts Academy of London)- exam. "For students who are pursuing degree in other subjects or working in other fields, Kalai Kaviri is a medium to fulfill their dream of doing a degree in Bharathanatyam. Doing a degree, has given me an opportunity to research more on the subject of Bharathanatyam and this degree has also given me the confidence to share and speak on various subjects amidst the dancer's community. The CDs that were provided, were clear and all the contact classes were informative and teachers were extremely helpful. Attention was given to each student especially during Nattuvangam classes. Kalai Kaviri was a place for sharing knowledge, passion and meeting like-minded people. From the day of attending the interview till the graduation day everything was prompt and at any time when we called Kalai Kaviri for queries, it was all cleared. Teachers at the end of the year became gurus and a long standing relationship was built. Teachers' experience and especially research paper (subject) were professional. The study materials were promptly sent. All the staff members from the Admin Department also answered our questions over phone and also sent all the certificates and materials whenever needed. Classes were held on the dates allocated and any change in the dates were also informed before hand. Most of the items learnt were of great standard and I am now teaching those items to my students. Kalai Kaviri has not only given me some of the best knowledge but I have also gained lot of friends in the field of dance. Studying in Kalai Kaviri was a fulfilling experience. Introducing a Masters or a Diploma degree in nattuvangam would be extremely helpful. Looking forward to join again in Kalai Kaviri and learning more." 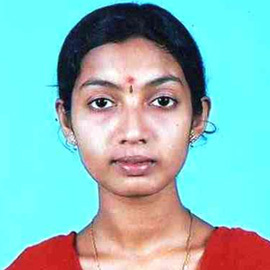 Aarthi Madhumitha is a student of Sri S. Aravindan and Vasantha Aravindan. 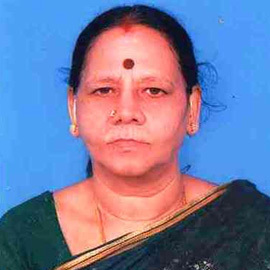 She has performed at many temple and sabha programmes. She has also learnt Kathak and free style dancing. She also has a Masters Degree in Human Resource Management. She has performed Kathak in Jaya Tv Program, "Tha Ka Thi Mi Tha". Aarthi has made Solo Performances at various places and festivals, and also conducted many performances with the students of her Dance School, Koothambalam, started in the year 2010 in Chennai, that aims at encouraging children to learn the traditional art of Bharathanatyam. She is training more than 100 students in Bharathanatyam at present. "When this Off-campus Degree programme was announced, I was in cloud nine and welcomed this concept. For those who aspire to learn this art after a certain age, this is a wonderful course. Everyone who undergoes learning of Bharathanatyam or Music through Kalai Kaviri Distance Education Programme is a chosen one. This is because there is a unique combination of theoretical and practical education with highest standards in both. There is no compromise on quality; there is a deep thinking which goes into the design of the programme; and they keep it updated every year. Bharathanatyam Degree with Kalai Kaviri has given me a professional platform and it is with pride that both my Diploma and Master of Fine Arts degree in the Bharathanatyam fill my resume. This has also helped me secure IDA (International Dancers Association) membership. It may also be noted that not only in the state of Tamilnadu, I have also got the privilege of performing in the state of Karnataka (ADA RangaMandira) based on my profile which carried the dual degrees of Diploma and Masters in Fine Arts in Bharathanatyam from Kalai Kaviri. Kalai Kaviri Distance Education Programme blends nicely the theory and practice of dance. Most appreciable is the Monthly 4 classes held during the degree period when we got dedicated support from two Kalai Kaviri Staff for classes in Chennai. Additionally they used to also get Guest lecturers to share their experiences. This helped us learn the nuances of dance very well. Kalai Kaviri Distance Education Programme helps create budding artistes who perform in all types of stages – starting from as simple as Temple programme to as much as a Chidambaram Natyanjali festival. Particularly for me – my learnings through this degree helped me perform in Jaya TV's "Thaka thimi Tha" programme twice. Kalai Kaviri Distance Education Programme gives an easy access to anyone who has passion for these art forms. The fee structure, accessibility are a delight because even someone hailing from a poor family can enter the profession without any fear. Kalai Kaviri Distance Education Programme has a structured learning programme which has a step ladder for art form from basic to expert level. For eg – If Diploma in Dance took us from Basic to Intermediate stage, Masters in Fine Arts took us from Intermediate to Expert knowledge. This Programme has a good level of study support materials. The Teaching staff during the contact classes used lots of audio-visual aids. The contact classes were the best part as they helped us clarify practical doubts. Kalai Kaviri Distance Education Programme was the memorable part of my learning years and helped me grow as a professional dancer. The programme also gave a window for many of us dancers to form a network and even to till date we have our contacts both professionally and personally. Kalai Kaviri Distance Education Programme gives a twin approach – Strengthening the fundamentals through structured study materials and enhancing the art through contact classes and practical evaluation methods. It is indeed a great awakening to the Bharathanatyam dancers, who in spite of their talents were unable to shine or seek jobs due to lack of a certificate." 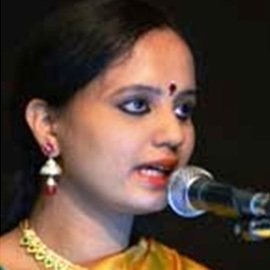 Bharghavi Krishna is a Carnatic music exponent learnt under the tutelage of Smt. 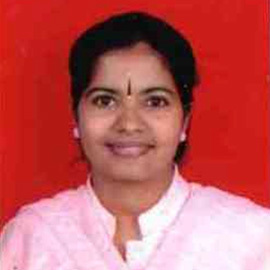 Sudha Sridhar. She has won many awards including , "Natya Kala Ratna" in the year 2000, "Honor of recognition" in representing the State of Tamilnadu by a cultural performance made to the President of India in year 1999 and "Best Dancer Award" from the Russian cultural Academy. She has been teaching Bharatanatyam and Carnatic Music in the Little Oxford Fine Arts Society – Chennai and Bengaluru. 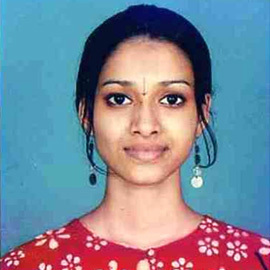 She has participated in many Dance & Carnatic music Competitions and won prizes. She presented a group performance at Chidambaram Natyanjali festival in 2007. 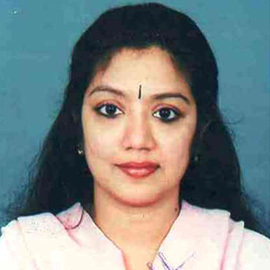 Her media appearances include Taka Dimi Tha (1st Prize) - Jaya TV and Kuttrala Kuravanji - Makkal TV. She has won the Ist Prize in the Inter College Programme of Jaya TV and has given Dance performances in Raj TV. "There are not a lot of institutes that provide quality education. Again the degree also needs to be academically recognized globally. KALAI KAVIRI happens to be one such gem. A degree gives me an opportunity to be one step ahead or at the least at equal footing among my peers. This Distance Education Programme for Bharathanatyam, is very beneficial as it has no age barriers. Again, contact classes at nearby locations make it easier. It gave an in-depth knowledge about every aspect and its technicalities. The Study Materials were good, well researched with exhaustive content. Experienced and very knowledgeable teachers for contact classes made our learning process more interesting. I got to interact with many like-minded professionals and gain knowledge and exchange ideas. Kalai Kaviri Distance Education Programme has good content, qualified teachers and is flexible." Radhika Radhakrishnan has performed at various temples and dance festivals across Maharashtra, Karnataka, Kerala & Tamilnadu. Her performance during the Sur SingarSamelan held at Mumbai for which She won the title 'Singar-Mani' from the Sur SingarSamsad. Her performance for the Television channels (Asianet & Asianet Global) has earned her global credit. "With a lyrical flow of movements, appealing Mudras and Mukhabinaya, footwork, the commendable stability of pose, expressions of Adavus performed to the rhythmic syllables of music, Radhika exhibited in her performance great artistic spirit and nuances" .… Tarun Bharat, a Critic appreciates. "My dream, a reality! … I chose to be a MFA student in this university itself, for many reasons. The most important of which was the internal peace and the sense of spirituality I experienced at the time I first stepped into the university which still prevails and continues to grow in my mind and within me. The academic faculty during my period of study will always be valuable treasures of my life and of this college. Their teaching, patience, kindness and guidance are something that I will always cherish. During my ten days stay with them they closely monitored every step in terms of our conduct and academic approach of the students in our batch and have been involved with us for long hours. This dedication did not just impress me but also inspired me to follow their example. During my stay at this University I was quite observant in terms of the manner in which the office staff handled the individual requirements of every student without any hesitation. I considered this a major strength of this institution. I am sure that this friendly and approachable attitude of the office staff will continue to attract many students in the future as well. I should state that I would remain a loyal student of this institution for all my life and would try my best to spread the name and fame of its founder late Rev. Fr. George by establishing a branch of this Kalai Kaviri in Canada which is my aim and I will dedicate my life towards the growth of this divine art." Karthiha Parthiban is the Founder/Director/Teacher at Abhinayakshetra Fine Arts, Canada. She has studied Bharathanatyam at Kalakshetra Foundation (Rukmini Devi college of fine Arts), Chennai. "Can you imagine Bharathanatyam at your door-step? Yes, it is made possible through the Off-campus Degree Programme offered by Kalai Kaviri College of Fine Arts, and Bharathidasan University, Tiruchirappalli. One understands while learning, that the real concepts depicted in Vedas and traditional epics are transformed into the syllabus of the various Degree and Diploma courses of Kalai Kaviri Distance Education Programme and taught theoretically and practically by qualified and proficient teachers. As one who has taken up learning this art from the age of five, and now teaching students in Singapore in my Dance School, I feel that this course offers the right direction." Shobinya has done Diploma in Bharathanatyam from Kalakshetra, Chennai and has a passion for teaching Bharathanatyam. "Only in Kalai Kaviri, I find the dedication to teach this divine and prestigious art Bharathanatyam and the students learning it beyond the discrimination of religion, caste, language, region and nationality. Though I learnt this art from the age of four, has been teaching it for the past 20 years, also employed as a teacher in History in CBSE school and being a home-maker, even in my age of 45 years, only Bharatham is my breath. Yet , I do not know where I stand in my pursuit. Only Kalai Kaviri Off-campus Degree Programme in Bharathanatyam has shaped my knowledge in this art to perfection and has given me authentic recognition. I cannot but admire Kalai Kaviri's specialty to accept all the styles of Bharathanatyam and to maintain the characteristics of each style following their correct methods. The meticulous teaching in the Contact Classes is excellent. After completing my M.F.A., I wish to serve as an instrument to uphold this Programme and the vision of late Msgr. S.M.George, the Founder and Director." K.M.C. Kamarajini was professionally trained in Bharathanatyam for 15 years under the tutelage of Sri. M.M.Pillai, Nagercoil. 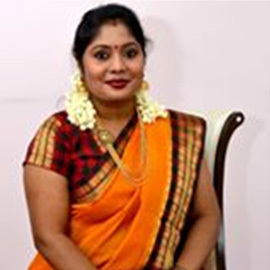 She is an academician working as Senior Teacher and also pursues a career in Bharathanatyam. "I feel that Kalai Kaviri Off-campus Degree Programme in Bharathanatyam, gives more scope for learning the art well, because there are lot of seminars, group discussions, challenging projects, which will develop the overall standard of the students. We wish to motivate others also because of the able guidance of Rev. Msgr. S.M.George – the Founder and Director, the tireless and prompt service, and the co-operative staff." 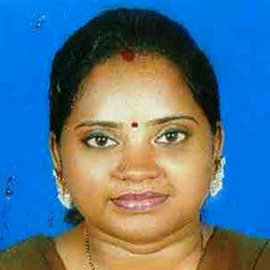 Hemalatha Ramachandran was a B.Com Graduate and professionally trained in Bharathanatyam at Vipanchee Natyalaya under the tutelage of Dr. Saraswati, Chennai. "I am a Ph.D. Research Fellow in the field of diabetes. Full-Time regular college degree course in Bharathanatyam is only a dream for me. 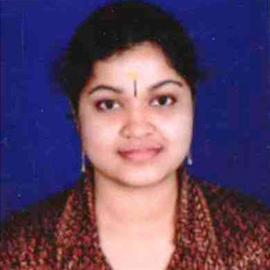 But Kalai Kaviri Off-campus Degree Programme has made my dream come true." 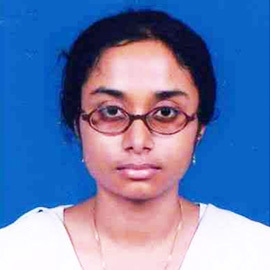 Dr. M. Nithyakalyani has done her M.Sc. in Bio-Technology and Ph.D in Diabetes. She works as a Researcher and Scientist. She was also professionally trained in Bharathanatyam under the tutelage of Dr. Ambika Kameshwar, Chennai. "Though it is an Off-campus Degree Programme, it is in no way inferior because we get the brilliant support and expertise of the teachers. The study materials are exhaustive and are like a bench-mark to our knowledge. I will surely recommend this course to all my friends as I would not want them to miss this rare opportunity. It is a great pride to be a student of Kalai Kaviri Off-campus Programme and getting a degree / diploma from this institution is a sure way to scale heights in my dancing career." 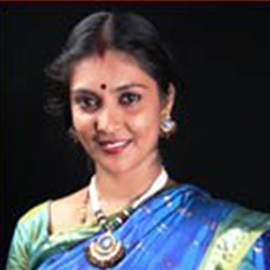 V. Varsha was Professionally trained in Bharathanatyam at Divyanjali, Chennai for 13 years. 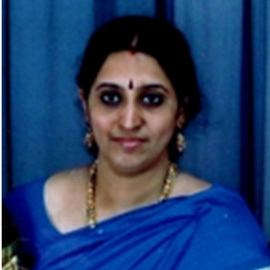 Bharathanatyam Instructor, Sri Inolka Nrithya Kala Kendra, Kandana, Sri Lanka. "Kalai Kaviri Off-campus Degree Programme in Bharathanatyam, helps me a Sinhalese girl to learn the prestigious art Bharathanatyam which belongs to Tamil culture, staying in my country itself without traveling all the way to India to undergo this course or spending lot of money. I am confident that with this degree, I can be a good and knowledgeable dancer and a teacher of Bharathanatya." 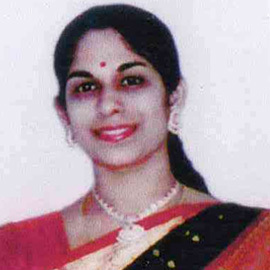 P. Sharmila Inolka Perera was Professionally trained in Bharathanatyam at Padma Ranga Nikethan, Srilanka for 12 years. "Kalai Kaviri Off-campus Degree Programme in Bharathanatyam, offers excellent opportunity for the working or studying class people to pursue higher education in Bharathanatyam, without affecting the existing schedules of the priorities in life. The course conduct is highly standardized on par with any other university. Kalai Kaviri has highly educated and dedicated staff who understand the problems faced by the students and teach in a student-friendly way. Care is given to rectify even the smallest of mistakes. I take this opportunity to congratulate the Kalai Kaviri team for having established this venture so well across the globe in a short span." 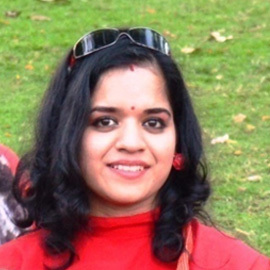 Yamuna was trained professionally at Aradhana School of Dance, Bengaluru under the tutelage of Vidwan Nagabhushan. "I was agog when I entered the college campus…. The ambience is simply great. I am sure, even a novice, on entering Kalai Kaviri, will turn out to be a connoisseur of art. The faculty is dedicated . They strive to bring out the best in you. The administrative staff are efficient, take meticulous care leading to perfection and keep you informed about the developments connected with the course. This course has given me enormous confidence while teaching my students. I can clarify the doubts of my students more easily. It is said, 'if there is a paradise on earth, it is this', about Fathepur Sikri built by the Mogul king Akbar. In the same way, I wish to say, 'if there is a place where you will find an outlet for all your aesthetic tastes, it is Kalai Kaviri, nothing but Kalai Kaviri. East or West, Kalai Kaviri is the best." 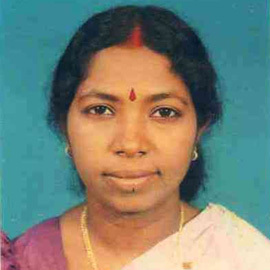 V. Vaijayanthimala has done her B.A. Economics and M.A. Tamil. 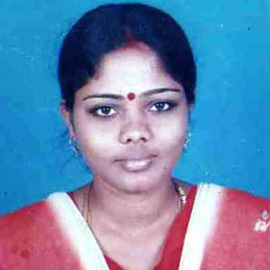 She was employed as Tamil Teacher at Jeevana Matriculation School, Madurai. Having professionally trained for 11 years in Bharathanatyam, her passion for the art form made her pursue her Post Graduation in Bharathanatyam. "Kalai Kaviri Off-campus programme in Bharathanatyam is a golden opportunity for non-resident Indians like us to get detailed knowledge about the vast theory, the origin and development in the field of Indian dancing. Further, the degree gives us recognition as the examinations are conducted by a reputed university. The syllabus is quite extensive with regard to both theory and practical. While the traditional method teaches us the practical performance part of the dance, the structured curriculum of the degree programme based on Natya Sastra enables us to gain wide knowledge and assist us in developing our skills further both in theory as well as in performing the art. Such a knowledge is extremely important and useful for a person who would like to take a career in dancing." 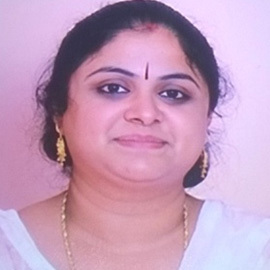 Geetha Ravishankar was Professionally trained by Smt. Kausalya (Disciple of Vazhuvoor Ramiah Pillai) at Nritya Kala Mandir, Chennai for 10 years. She was also trained by Smt. Sarada , Kalakshetra Chennai. She has served as Dance & English Teacher at Al Wafaa School, Sohar. 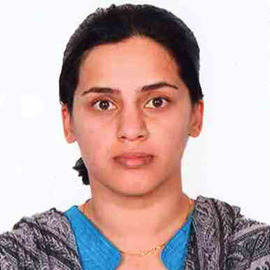 She has also been the Director of Natya Kala Mandhir, Sohar, Sultanate of Oman. "Only in Batticaloa there is degree course in Bharathanatyam. But, because of the war situation in the country, we cannot go there. Besides, our financial condition does not allow us to go to India to take up the degree course. This Off-campus Degree programme is like a ladder to reach my goal. I will start an institution like Kalai Kaviri in Sri Lanka and help poor but interested students. Kalai Kaviri's Off-campus Degree programme must be introduced to all the art lovers." 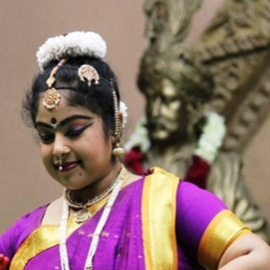 Suganya Selvarajah has completed Grade 4 Exam in Bharathanatyam in Sri Lanka and has a passion for acquiring academic qualifications in Bharathanatyam. "I enjoy respect in my country because I am a student of Kalai Kaviri of India, for my Bachelor's degree in Bharathanatyam. My dance school, 'Sri Sakthi Kalalaya' with 100 students spreads the fragrance of Kalai Kaviri. Because I got married recently, I could not come to India to do my Master's degree course. But because of the rare opportunity of Kalai Kaviri's Off-campus Degree programme, I am able to continue my studies in Bharathanatyam." S. Kalaimagal has a passion for teaching Bharathanatyam. "Everybody raises their eyebrows, when I, a Software Engineer employed in a leading IT company, tell in any dance forum that I am doing M.F.A. in Bharathanatyam. It is made possible by Kalai Kaviri. I make them see the website of Kalai Kaviri's Off-campus Degree programme and many have become interested to join the same. I still wonder how did Rev. Msgr. S.M.George the Founder and Director, get this great and innovative idea. A great trend-setter ! Hats off ! Because I crossed the age limit, I was not given admission in an institution. Here there is no age limit. The assignments that the students are made to do and the seminars that the students are made to conduct are eye-openers to many topics. " S. Jayanthi was trained under the Tutelage of Padmashree Chitra Visweswaran, at Chitambaram Academy of Performing Arts, Chennai for 10 years. She is a performing artiste and resource person at various institutes. "I am one of those fortunate students to have the opportunity to have my dual degree. I will always be grateful to Rev. Msgr. S.M.George, the Founder and Director." Apart from being an academician, she is also a dance instructor in Kalalayam, Guwahati . "What IIT is to Technology and IIM is to Management, certainly Kalai Kaviri is to Bharathanatyam." Aparna is the proprietor of Shubanu. She was professionally trained for 10 years under the tutelage of Smt. Kodhai Narayanan at Nritya Arpana, New Delhi. "It's a dream come true, for those like me, involved in other professions, but desire to have a degree in Bharathanatyam!" "No other college except Kalai Kaviri Distance Education Degree Programme in Bharathanatyam, offers so many options for eligibility, to enable artistes with different background, to get a degree in this art." 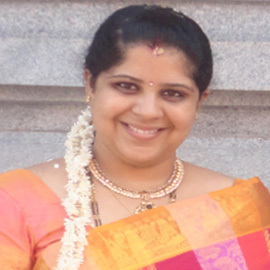 Gayatri Balagurunathan was professionally trained by Smt. Krishnaveni Lakshmanan, at "Kalakshetra Foundation" for 25 years. Sponsorship Manager, Christian Children's Fund of Canada, Chennai. Diploma in Bharathanatyam (2010- 2011) Kalai Kaviri Off-campus Degree Programme. M.F.A. Bharathanatyam (2012 -2014), Kalai Kaviri Distance Education Programme. "I am very much pleased to share my greatest happiness in completing my M.F.A. dance degree. Initially when I joined I was so much confused how am I going to finish this course with the course CD. But the contact classes helped me and Kalai Kaviri as an institution followed up with me regularly and reminded me in attending class and sent the materials on time. Syllabus was good with good maargham items, but performing dance drama was a challenge because every student was not from Chennai and was working / studying in various fields. But completing dance drama was a great experience too. Overall it was a great memorable learning experience for me as I learnt many new things in Bharathanatiyam. I thank my teachers who taught me. Also I thank Kalai Kaviri administrative staff as well for their friendly follow up and reminders." 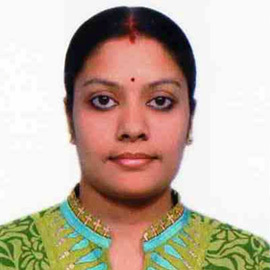 J.Subha was trained in Bharathanatyam for 15 years at Sri Satguru Sangeetha Vidyalaya, Madurai. Dance Instructor at Bharathiya Vidya Bhavan, Bengaluru. "The Course gives opportunity for the students to learn more about theory in Bharathanatyam. It also enables the students to have an idea about choreography through Kutrala Kuravanji. The course materials provided by the college give enough information about History of Bharathanatyam which is very interesting to learn. The contact classes are conducted on time without any change in the plan. The number of contact classes are good enough for us to learn the items." K.Parvathy has completed her Senior in Bharatanatyam examination conducted by Karnataka Secondary Examination Board. She was professionally trained at Nritya Kalamandiram, Bengaluru for 20 years and she is a performing artiste. "Distance education programme for performing arts like Bharatanatyam by Kalai Kaviri College of Fine Arts, Tiruchirapalli, affiliated to Bharathidasan University, Tamilnadu, is a blessing to all the aspiring dancers who wish to pursue Graduation / Master's Degree in performing arts while they continue to be in work or study. The co-ordinators for the contact classes are supportive and always willing to help. The teaching staff are highly educated and dedicated. They understand the challenges faced by the students and teach them according to their needs." We were willing to have them as our guides for the dissertation as they had in-depth knowledge about the subject (both theory and practical). The course materials supplied well in advance are informative & educative. Since the classes are being conducted on weekends, it is really helpful to those who are either studying or working. Contact Classes, assignments, seminars and dissertation work, mark the high standard of this programme which enhances our knowledge in the dance field. We really enjoyed the solo items and dance ballet Kutrala Kuravanji choreographed by ourselves which are part of the syllabus for the examinations. I have also motivated my students who are pursuing IT profession to take up this course and get Master's Degree alongside through this Distance Education. The Graduation Ceremony was well organized. It was a great honour to receive the M.F.A. (Bharatanatyam) Degree Certificate from Kalai Kaviri University. It is a great pride to be a student of Kalai Kaviri Distance Education Programme and to get a Master's Degree from this institution is a sure way to scale heights in my dancing career. Deepa Bhat has completed her Vidwat examination in Bharatanatyam conducted by Karnataka Secondary Examination Board. 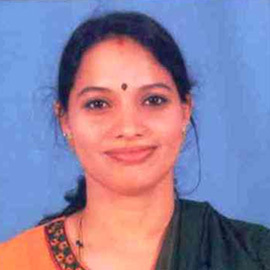 She was professionally trained at Kalakshiti, Bengaluru for 15 years. She has given performances in various parts of India. "When compared to other universities our Kalai Kaviri Distance Education Programme provided appropriate course materials and at the same time we had good support from the faculty and the admin staff. As being a house wife and a professional woman, I could not attend regular course offered by other universities. Being a part of Kalai Kaviri Distance Education Programme, I met my dream come true. Regarding Study support Materials, Audio–visual Aids and Contact Classes it is good and Fantastic. My experience with Kalai Kaviri Distance Education Programme, is Awesome." With M.A. in Economics and a Vidwat in Veena, her passion for creating awareness about Indian traditions has been achieved by Conducting Workshops, Concerts & Camps for Classical Dance & Music. She has established 'Om Shree Sai Centre for Performing Arts' in 2006 and 'Om Shree Sai Educational Trust' in 2010. She has won State Award "Yuva Kala Guru" in 2009 & 2015, Bengaluru and National Award "Guru-Shishya Parampara" in 2015, New Delhi.